When Cypress Hill released their second album, Black Sunday, in 1993, the CD liner notes included 19 facts about cannabis, including several notes about the plant’s medicinal and wellness benefits. Though listeners to the record–which debuted at number one on the Billboard charts that week with the strongest Soundscan score of any rap record up to that time–probably wouldn’t have needed to read the booklet to guess that the group was generally marijuana friendly. A scan of tracks titled “I Wanna Get High,” “Hits from the Bong,” and “Legalize It” might have been a clue. Now, almost exactly 25 years after Black Sunday dropped, one of Cypress Hill’s principle MCs, B-Real (Louis Freese), is preparing for a new debut. On August 15, the man who once rapped, “Hello, my name is Dr. Greenthumb” (and, a couple bars later, that the “DEA can’t keep Greenthumb in check”) will open a new, high-end medical and recreational use marijuana shop called, naturally, Dr. Greenthumb’s Dispensary. 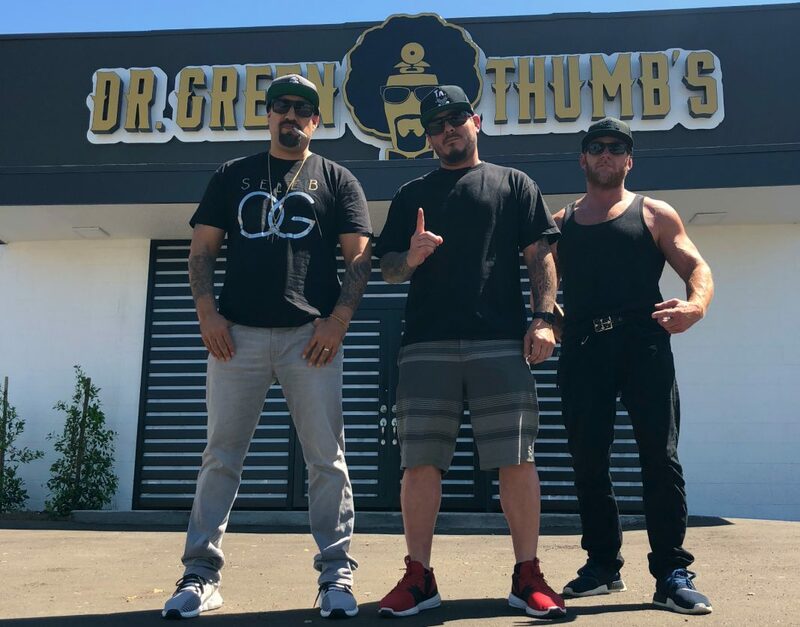 Dr. Greenthumb’s aims to be among the first of the current wave of modern cannabis retailers to open in the San Fernando Valley, with a large, sleek location in Sylmar. B-Real started collaborating with cultivation expert Kenji Fujishima on a brand of cannabis products several years ago, which lead to his desire to open a storefront of his own. He initially planned to open a medical-only facility in Orange County back in 2016, but that project was short-lived. Some 40 different strains of the house marijuana line will be available at Dr. Greenthumb’s when it opens. Working with Fujishima, who boasts over two decades of experience crafting strains, Dr. Greenthumb’s will release new, limited-edition products and flavors every week, in addition to the core line. Even in the crowded cannabis marketplace, they’re hoping the effort they put in to developing and growing products will stand out for consumers. In addition to the cannabis products, the shop will also stock an in-house range of clothing and merchandise and smoking accessories, including Phuncky Feel Tips, reusable glass mouthpieces to be used when smoking rolled joints (an invention of B-Real’s own, sort of like the short, weed equivalent of Audrey Hepburn’s cigarette holder in Breakfast at Tiffany’s). Nonetheless, he’s making an ambitious bet on cannabis retail. In addition to the Sylmar shop–which will also have space for a studio for his online media project BReal.TV and special events, like Wednesday’s opening party, featuring DJs and live performances–Dr. Greenthumb’s is looking at opening a second location in Cathedral City, outside Palm Springs, in the near future, and a downtown L.A. store a bit further down the line. 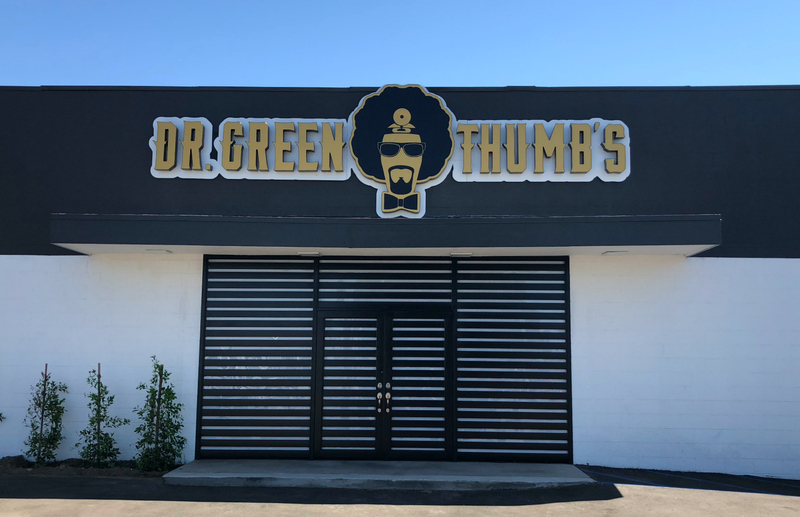 Dr. Greenthumb’s Dispensary opens with a celebration on Wed., Aug. 15, 8 a.m.-10 p.m., at 12751 Foothill Blvd., Sylmar.